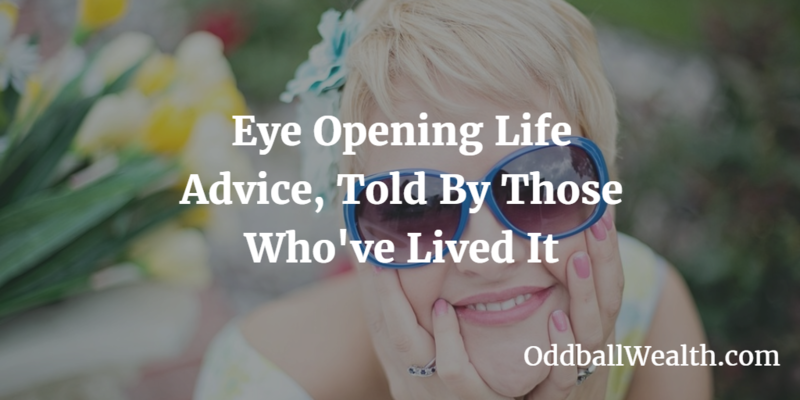 I recently read an inspiring and eye opening article on tickld, titled 20 Crucial Pieces Of Life Advice, As Told By People Over 60. After asking individuals over the age of 60, “What advice would you give to those who are half your age?” They posted the 20 most important pieces of advice for young people from those who responded to the question. Boom! This is awesome advice! Basically what this person was saying is, don’t grow up too soon, have fun, and enjoy your life. This is a small piece of advice but it says a lot! Let’s break it down. Have you ever noticed that as we get older time seems to go by faster and faster, and it never seems like we have enough time to get everything done that we want to get done? For most of us, we just need to slow down and take a moment to analyze our life and ask ourselves whether or not the things we’re currently doing in life is truly important or if it makes us happy. Many of us put off doing the things we really want to do and enjoy, because we believe there will be time later to do those things. As a younger person myself, I believe the biggest mistake young people make is taking their time here on earth for granted. Our society has conditioned us to believe we need to prioritize certain tasks like education, building our careers, making money, buying a house, and other responsibilities over things that would actually bring us enjoyment. I’ll be the first to admit that I’m guilty of this, and I’m sure many of you are too. We only get one life and time isn’t going to wait for us. Now is the perfect time to think about how we’re currently spending our time, and if the things we do every day doesn’t bring us enjoyment and happiness, maybe it’s time for a change. Many people get married right after high school or college. There isn’t anything wrong about this, but in my opinion those people never really had a chance to experience the world on their own. At the current age of 27, my family keeps asking me when I’ll settle down and get married. My general response is after I turn 30. Why? Because I don’t believe I’ve had enough time to truly know myself or discover who I actually am yet. Marriage is a commitment for the rest of your life and I don’t believe I could fully commit to another person without truly understanding myself, my interest, and my purpose in life. If I don’t fully know myself, then I don’t know what I actually want in life, which could give a potential partner a false impression of who I am and lead to an unhappy marriage in the future. My parents married young, had kids young, and also took on all the responsibilities of being an adult, married, and parent at a young age. They no longer had time to focus on things outside of their family and kids, or experience things on their own. Later on in life they discovered that they were completely different people who shared few similarities and much less interests than they once believed. The end result resulted in a stressful divorce while having two young children. Unfortunately, statistics show that 50% of marriages today end in divorce. I believe the reasoning for this is because people rush into marriage at a young age before taking the time to first get to know themselves. Stop over thinking everything and just live your life. Go out and have fun, see places you’ve never seen before, take on new and exciting experiences, just go do them! Start traveling and experiencing new places and cultures. Don’t think about it too much, the destination isn’t all that important. Don’t pack unnecessary things that you think “you might need.” Go grab a backpack, throw some clothes in it, a toothbrush, and maybe your passport, and just go! There’s a big world out there that’s just waiting for you to explore it and experience it. As young people, we need to understand the value and meaning that comes from the advice giving to us by those who are older than us, and who have lived and experienced enough life to truly understand what’s important in life. Life’s short. Throw unimportant priorities and responsibilities out the window, and start living your life today! Awesome Services You Can Benefit From!